Riot Graves skin for SALE! - Get it NOW! Riot Graves skin features Graves in a Riot suite, and the feel of the skin is simply amazing, its quick and swift and looks great. 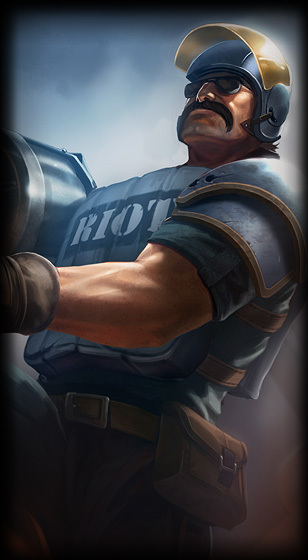 Riot Graves was in store for a very limited time. This was previously sold in the store, but is not avaible anymore. It is now a very rare skin to get your hands on. This skin features graves in full riot gear, with a very cool shotgun, that has a awesome sound effect when you shoot. Concept Graves as a riot control squad member. Model New ejected shells for his auto-attack. Particles New trail particles for the copter. Animations New animation for Quickdraw.